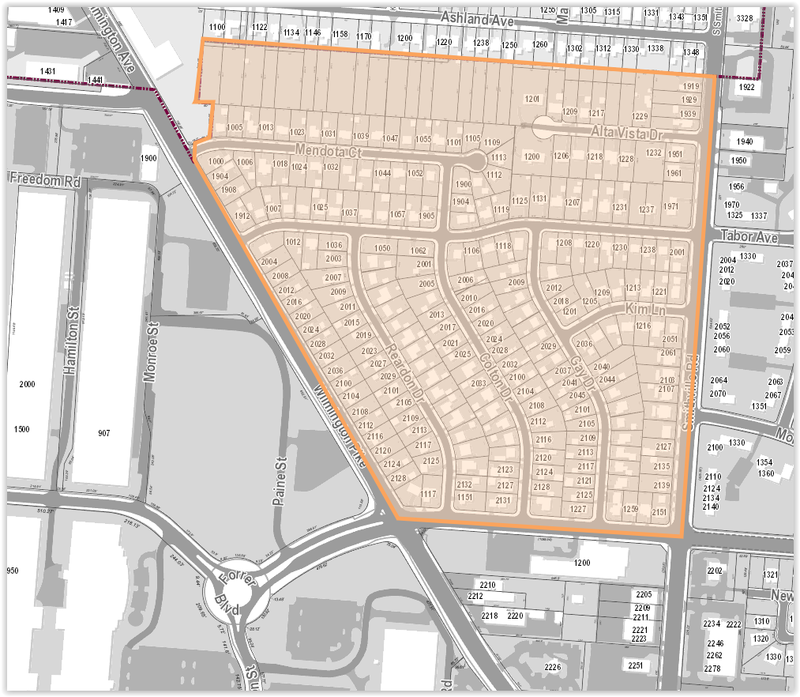 Congratulations to the Haverstick Neighborhood! 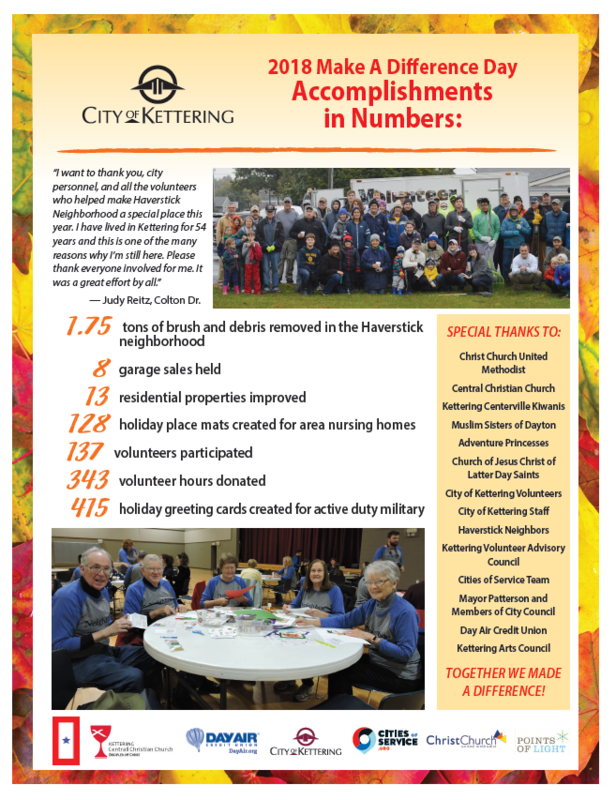 The City of Kettering has selected the Haverstick Neighborhood as the 2018 Cities of Service Neighborhood! In honor of this selection, a block party was held on Saturday, June 9 on Tabor Ave. between Reardon Dr. and Gay Dr. from 11:00 a.m. – 2:00 p.m. Neighbors enjoyed hot dogs and chips for lunch, door prizes, children’s activities, arts & crafts, games, Ritter’s ice cream, booths provided information on city services, and more! On October 25th and 26th, the City assisted neighbors in advertising a neighborhood garage sale. 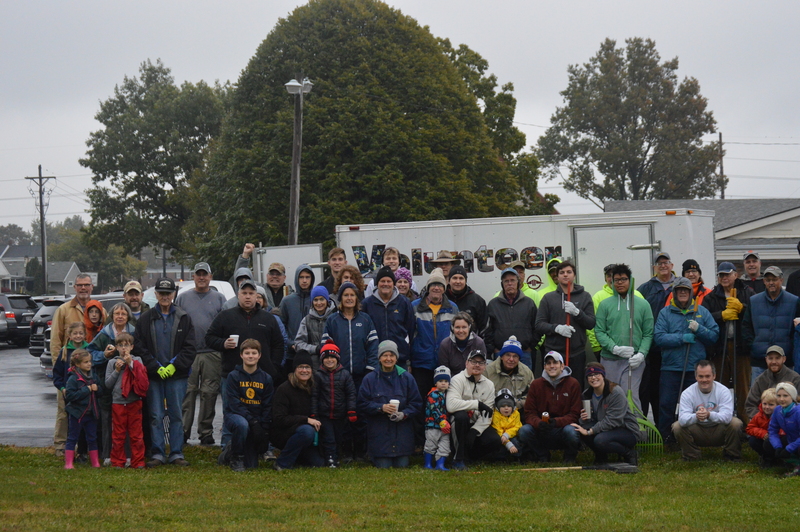 Volunteers gathered to help with a neighborhood cleanup on Make A Difference Day on Saturday, October 27th from 9:00 a.m. – noon. Watch this website for more details soon!